Heat oven to 425 degrees. Spray cookie sheet with cooking spray. While preheating, cut the strawberries. Unroll dough; place on cookie sheet. 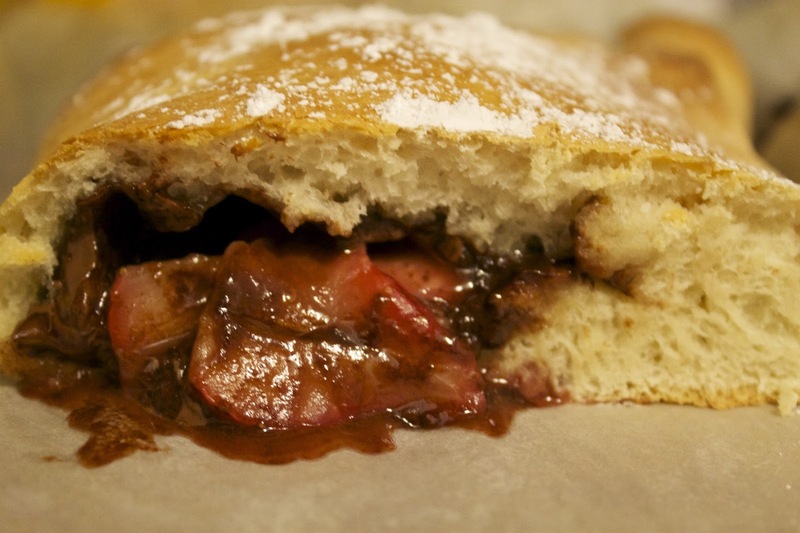 On one side of the dough, line with as much nutella to your liking then lay on top the cut Strawberries. Fold the half over synching all the corners like a pie crust. Bake between 15-20 minutes. Sprinkle with powdered sugar. I have a true obsession with nutella, ironically about two years ago I hated the stuff til I discovered nutella breakfast wraps. 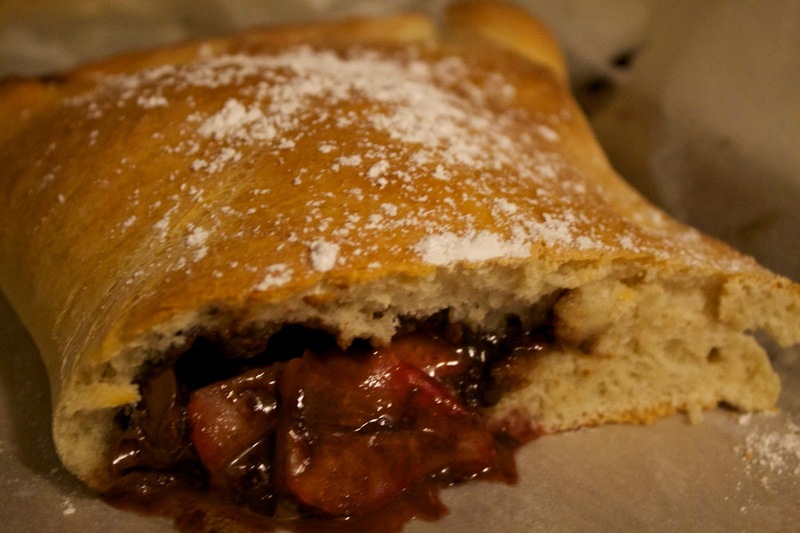 When visiting good friends over fall break we met at Carluccio's and they insisted on buying the Nutella Bella for us. I was hooked- I can't stop raving over this desert to this day and it's been about two years now. So began the process to recreate my new favorite desert. 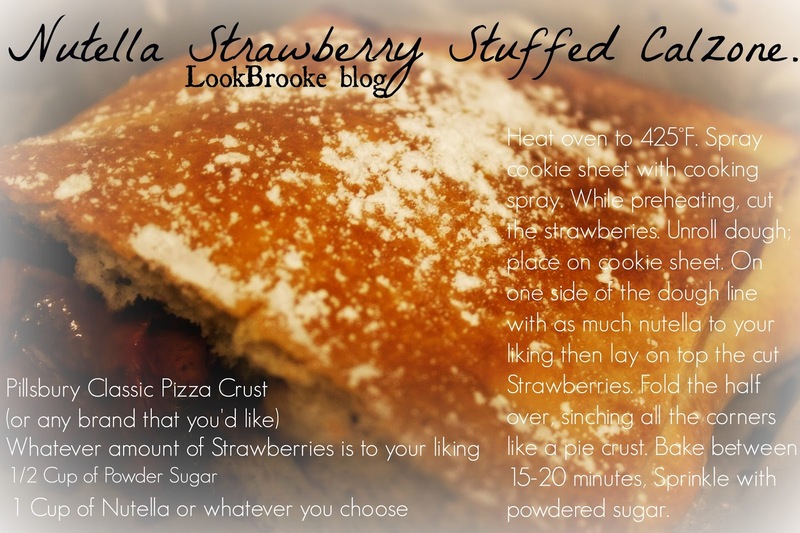 It's super good with or without strawberries. What is your go to holiday desert recipe?? Have you ever fallen in love with an item on a restaurant and recreated it?? Oh my goodness! This looks and sounds delicious! UMMMM oh my god I need this.